As most of us spend a third of our lives in the bedroom, it’s worth getting it right. Why not start with these feng shui basics? Ideally, your bed should be positioned diagonally from the door, against a solid wall. Placing beds directly under windows is not generally recommended, but if it’s unavoidable, be sure to draw the curtains or blind at night. Your feet should not point out the door, the so-called coffin position; facing ensuite doors should also be avoided, as the watery energy may adversely affect your health (don’t forget to close the door as well). When possible, bedside tables should be placed at the sides of your bed, as these anchor and protect the bed. If you’re looking for love, don’t just have one bedside table; place a table at either side, to ‘make space’ for someone else – even before they materialise. According to some feng shui masters, mirrors in bedrooms can disturb sleep, but modern practitioners generally dispute this – unless they face the bed. When a mirror reflects back onto you, arguments can be magnified, and in a worse case scenario, more partners may brought into the relationship. Try not to position your bed directly under a beam either; when running across your body they can sometimes affect your health (for example, across the stomach may bring digestive problems), while lengthways can cause rifts in relationships. Feng shui looks at the total environment, so these days, electricity and wireless radiation need to be assessed. Magnetic fields and electrical currents can greatly disturb sleep and play havoc with your health, so always turn off electric blankets and keep phone chargers and routers away from your bed. Check also that your bed isn’t positioned near a meter box. 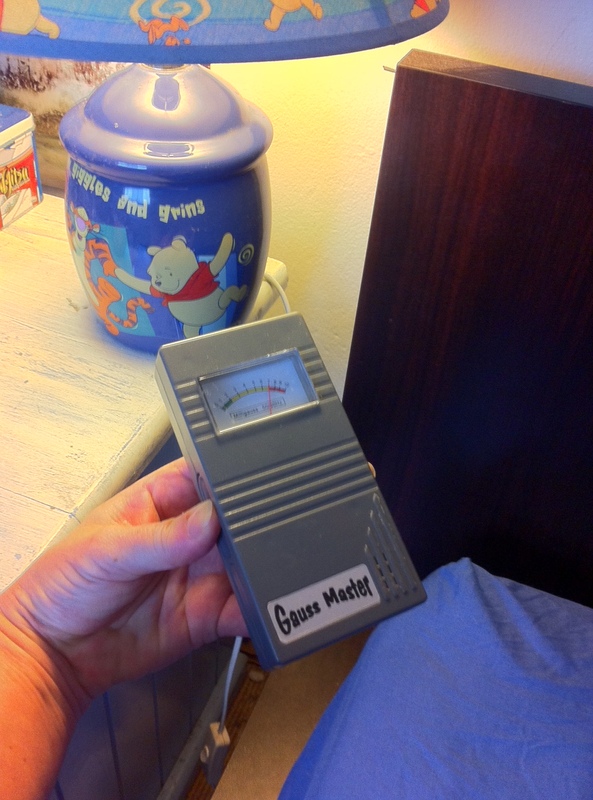 With the help of a Gauss meter, Jenny can easily check your home’s electromagnetic levels, especially around beds and desks. Click this link to find out more about Jenny’s feng shui consultations and safety checks. Being active little creatures, children often find it hard to switch off at bedtime. Bright colours and funky patterns may look appealing, but if the balance of yin and yang is out of kilter, vibrant rooms can overstimulate and rev kids up. Ideally, a child’s bedroom should be a peaceful place that promotes rest and relaxation. Cots and kids’ beds work best when nestled into a cosy corner. For a sense of security, your baby or child should be able to see the room’s entrance from their bed, so if possible, position the bed diagonally from the door, with its headboard against the wall. Avoid having your child sleep with their feet directly facing the door, as it will tempt them to get up during the night. In addition, your child’s bed should not share a wall with a toilet, as according to feng shui , this can aggravate bed wetting. Babies and young children need less stimulation, not more, so avoid bright or bold colours in their bedrooms and opt for gentle shades instead. Creamy whites, soft yellows, pale pinks, mauves and greens are all ideal; shades of blue can feel cold and depressing, so stick to neutrals and warmer shades. Of course, there are always exceptions to the rule. Shy children can benefit from brighter, yang colours such as tangerine or sky blue, but stick to mid-tones, as darker shades can feel oppressive. 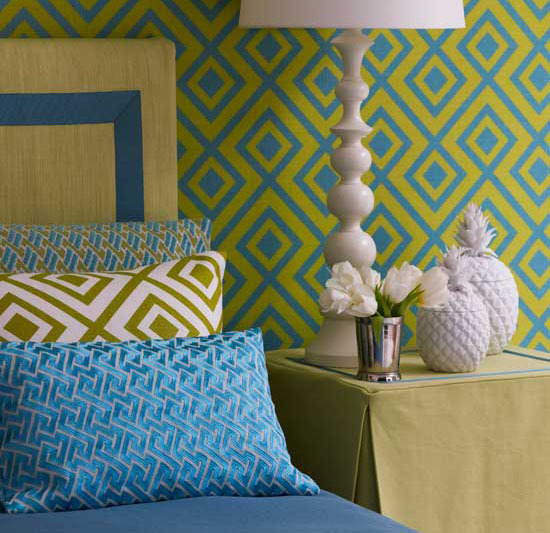 For older kids, yellow is said to stimulate the intellect, making it an ideal colour for study nooks. Jenny is a fully qualified astrologer, designer and feng shui consultant. When consulting she combines various feng shui schools, including Form school, Compass school, Flying Stars and BaZi. She offers seminars and consultations in the Sydney, Gold Coast and Byron Bay regions, and writes columns and weekly starsigns for Woman’s Day (Australia & NZ), Courier Newspapers and Real People, UK. Jenny is a professional member of the AFSC (Australian Feng Shui Consultants) and AANSW (NSW Astrologers Association). Phone 0411 631 940 or email jennyblume@iprimus.com.au for bookings, enquiries or more information.